If you’re looking to buy a Dishwasher then you are in the right place to find the best Dishwasher sale, including coupons & promo codes from major retailers. Browse the current discounts & clearance for Whirlpool, LG, Samsung, KitchenAid, GE Appliances, Maytag, Frigidaire or Bosch dishwashers. Whether you’re looking for a basic dishwasher or a high-end model, you’ll find great deals here. Find amazing sales and use printable or digital coupons, to pay the lowest price on your new dishwasher. – 20% OFF One Select Regular-Priced Item. Use Promo Code: APPLY20RMNNOW. – Receive an Amazon Echo with qualifying appliance package. Upgrade your kitchen or laundry room with two or more qualifying major appliances totaling $1,499 or more and get an Amazon Echo. – Free gift card with select Samsung appliance packages. – Memorial Day Savings – Up to 30% OFF Appliance Special Value. – $5 Cash Back for Online Purchases of $25 Sitewide. – Up to 5% OFF Total Purchase with a Discount Gift Card. – 5% OFF Your Lowe’s Advantage Card Purchase. Get 5% OFF your eligible purchase or order charged to your Lowe’s Advantage Card. – Up to 60% OFF Clearance Items. – Free Basic Dishwasher Installation, via Rebate. – 10 to 12% OFF with purchase of 3 or more select Bosch Appliances, via Rebate. – Save up to 25% OFF on Select Appliances. – Up to 40% OFF with Appliance Special Buys. Valid 5/17 – 6/6/2018. – Up to 24 months financing available on storewide purchases. Valid 5/3 – 8/8/2018. – Free Delivery on Appliance purchases of $396 or more. – $5 OFF coupon for your next $50 in-store purchase. – Up to 30% OFF With Amazon Coupon Codes & Promo Codes. – Get Free shipping on eligible orders of $25 or more. – $5 off $50 Storewide at Kmart. Promo Code: 9700084000756835. Excludes Clearance and TVs. Valid In-Store and Online. – $1149.99 for Kenmore Elite 14677 SMART Dishwasher with Third Rack and 360° PowerWash X Spray Arm – Black Stainless Steel. – $549.99 Kenmore 13543 24″ Built-In Dishwasher w/ Power Wave Spray Arm – Stainless Steel. Save $330. – $299.99 for Kenmore 13809 Dishwasher with Grey Tub/Heated Dry – Black Exterior with Plastic Interior Tub at 56 dBa. Save $100. – Up to $1500 OFF – Bundle & Save with Select LG Appliances. – $15 OFF Your Purchase. Use Promo Code: QIIN6. – $229.99 Sunpentown Countertop Dishwasher, Silver, and Free Shipping. – $240.97 Midea 6-Place Setting Countertop Dishwasher. – Save the Tax on All Major Appliances & Select Electronics, 8.25% OFF the Mart Price. Use Promo Code: TXAPEL. – Up to $700 Mail-In Rebate on Select Maytag Appliances + Free Installation on Select Maytag Dishwashers. – 30% OFF SRP Frigidaire 24 inch Built-In Dishwasher. – Save 10% on Select Bosch Dishwashers, with instant rebate. – Save up to $200 on Select Asko Dishwashers, with mail-in rebate. – $200 OFF Whirlpool WDF775SAYM Built-In Dishwasher. – $149 OFF SRP Frigidaire FGBD2435NW built-in dishwasher. – $250 OFF Maytag MDB7760SAS Built-In Dishwasher. – $349 OFF SRP KitchenAid built-in dishwasher. – $180 OFF Maytag MDB7749SAW Built-In Dishwasher. – 110% Price Guarantee and 30 Day Price Guarantee. Get 110% of the difference, if you find a lower, verifiable price on an identical item. – $200 OFF Maytag 24″ Built-in Dishwasher. – 30% OFF KitchenAid Stainless Steel Dishwasher. 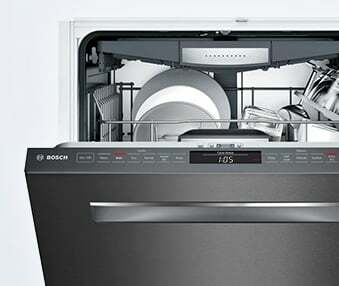 – 20% OFF Bosch Dishwashers. – Up to $500 Back Via Online Mail-In Rebate With Eligible Samsung Home Appliances. – Up to 40% OFF for black stainless appliances. – Free Next Day Delivery on all appliances $799+ and furniture & mattresses $1999+. – 0% Interest for 12 Months on all appliances $799+, electronics $999+, and furniture & mattresses $999+.